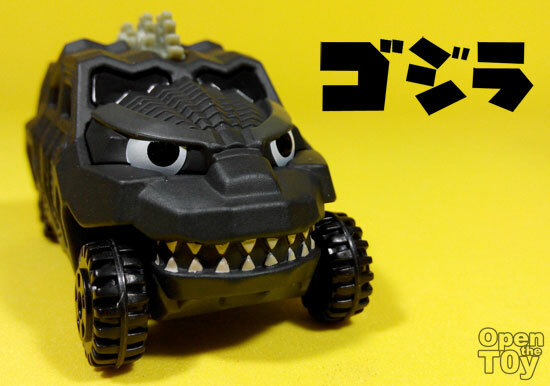 Godzilla...one of the Japan pop culture character finally had his own car of his own image. 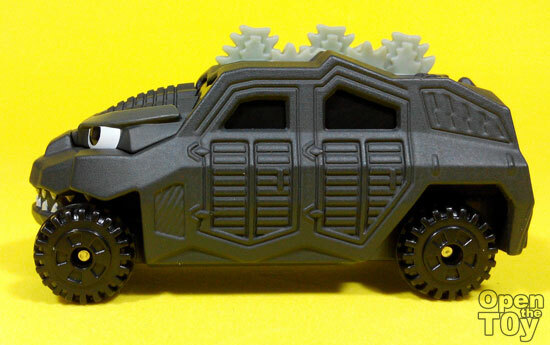 This time a unique Tomica car! 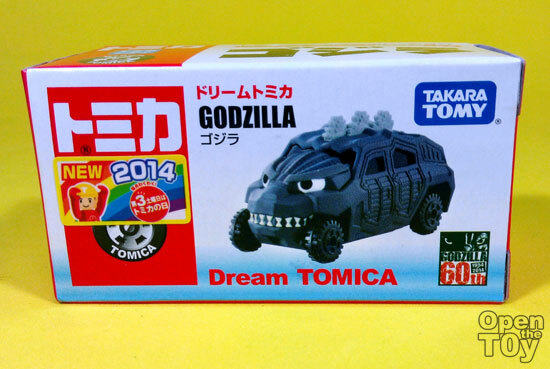 Here is the packaging of Dream Tomica for the year 2014. Godzilla! 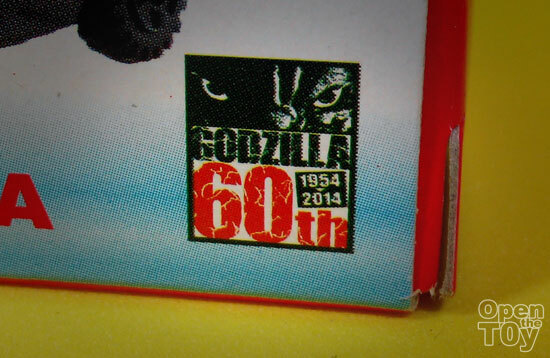 On the top of the packaging the Japanese wording of Godzilla was printed on it in bold black! 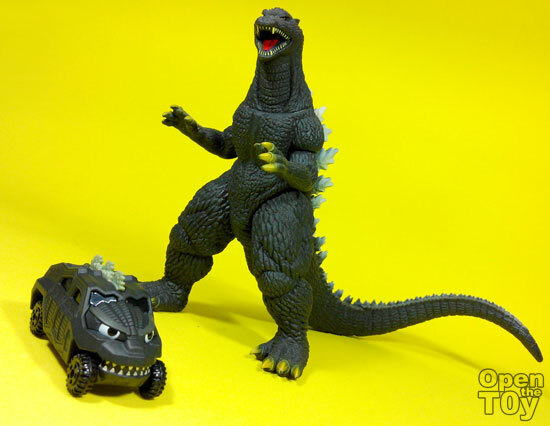 This special Tomica Godzilla car was to commemorate 60th Anniversary of Godzilla! Yes from 1954 to 2014! 60 years! Can you believe it that Godzilla is older than Singapore as a country? 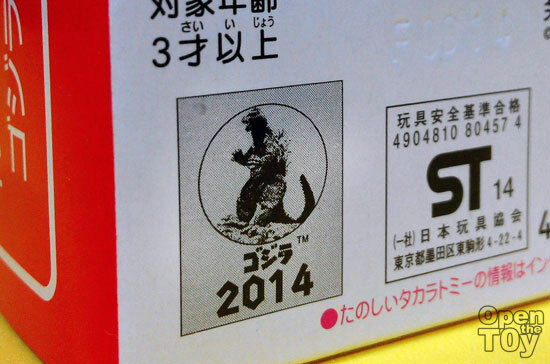 Like all Tomica car, there was a special license and this time was the license of Godzilla for 2014. Okay time to Open the Toy!! 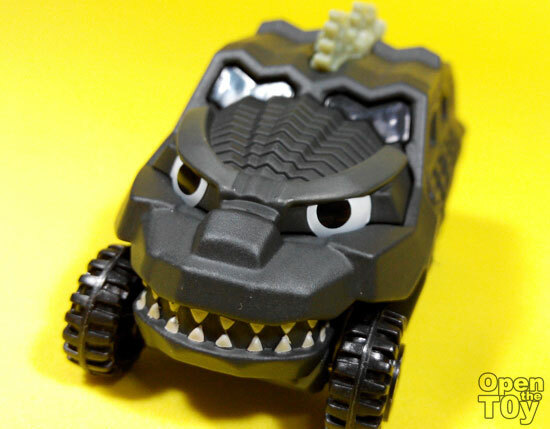 Here is Godzilla car front view. 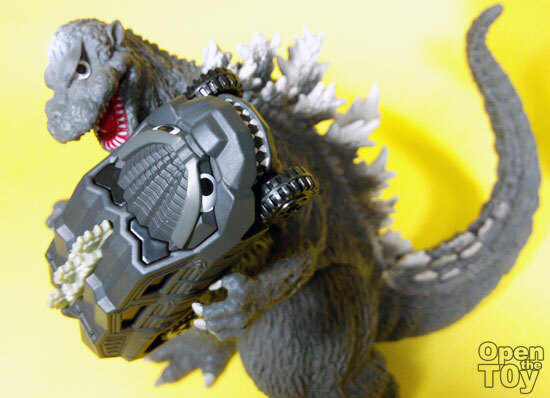 A good likeness of one of the Godzilla head that we love. 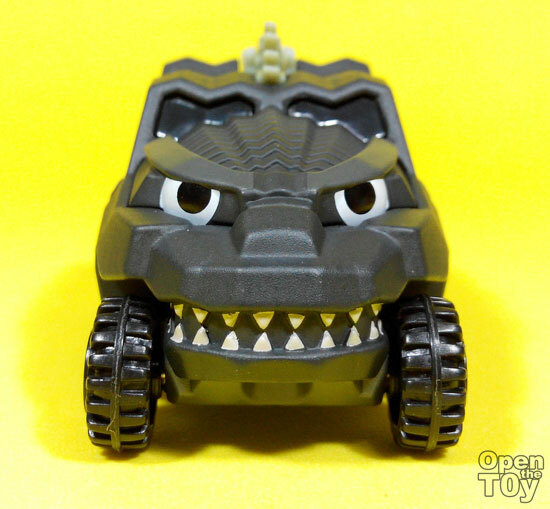 The car design was as rough and tough like Godzilla. More like an Armored vehicle with strong horse power engine. Look at those bullet proof windows from the side and all in dark tinted. 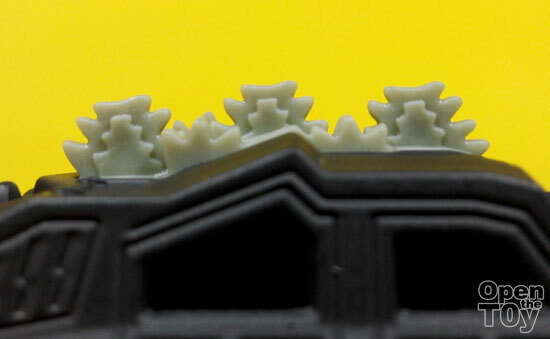 At the back view, you can see two doors and also Godzilla's tail hiding. 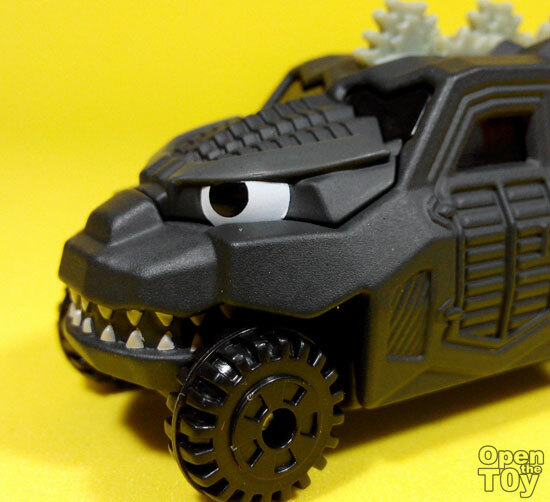 On the top of the vehicle, one of the Godzilla's signature look of the dinosaur back blade. It was made of another softer metal for safety reason I suppose as not to be sharp and hard which could be not safe for children to play. 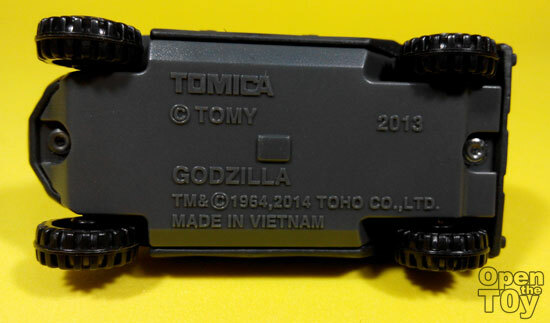 At the bottom of the vehicle, the logo of Tomica licensing and although this was for 2014, it was stated to be 2013. Here is a close up on the side of the head and I really love the shape of the block are smooth to touch. 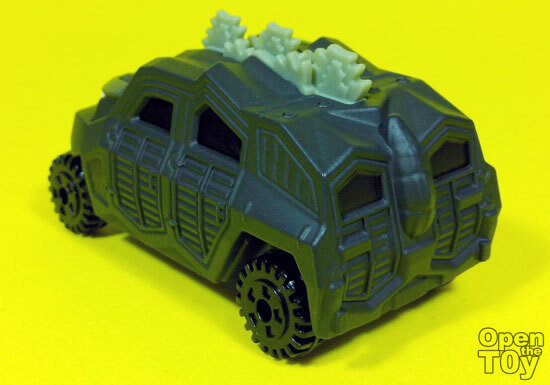 You will also notice the tires are rugged as well. Well suited for Godzilla! 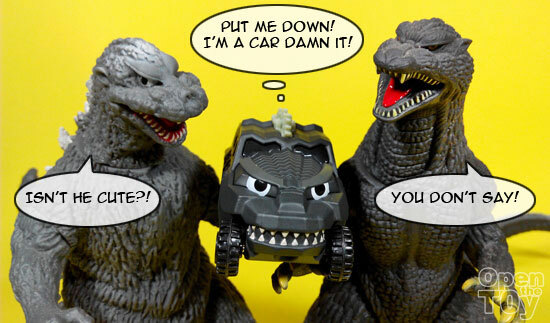 I can see he love this Godzilla car as his kid. Love HUG!! 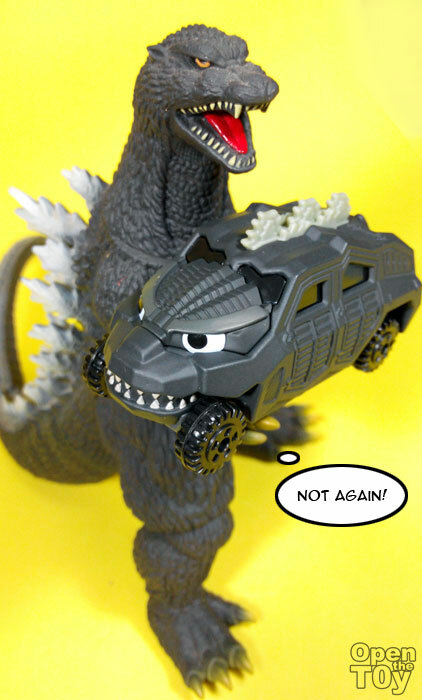 Oh wait, here is another more recent Godzilla from Japan too! The 2004 version! It is no use. 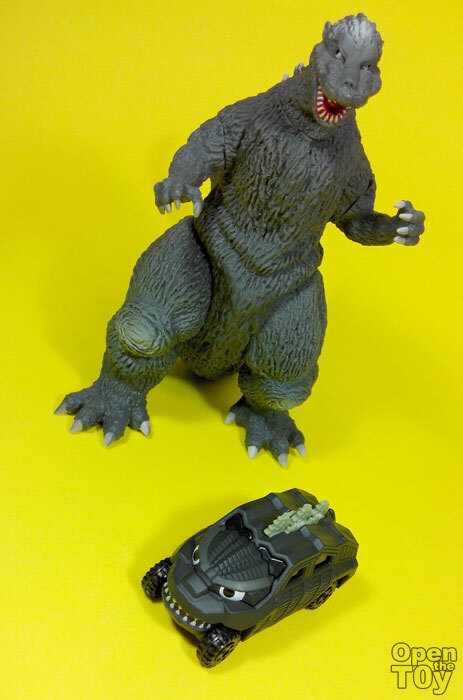 We are talking about the real Godzilla here. He look what he wanted and is fast enough to get it! So now for a group photo! Please ROAR!!! 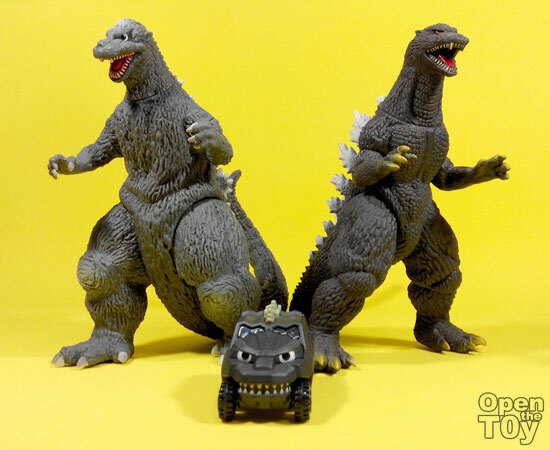 If you are a Godzilla fan, this is a good collection to own. 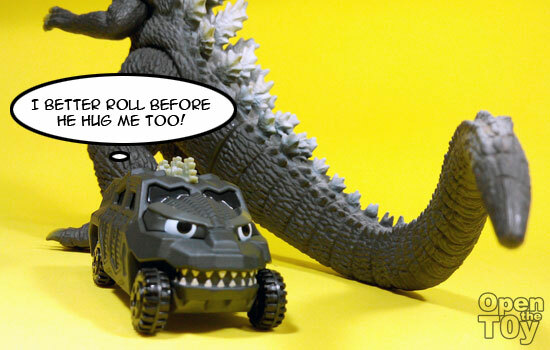 I know as I am loving this Godzilla car from Tomica! !